Now that winter is fast approaching and the days are getting shorter, it’s time to find a new way to brighten up your next birthday party, business meeting, GNI (girls-night-in), bridal shower, etc. 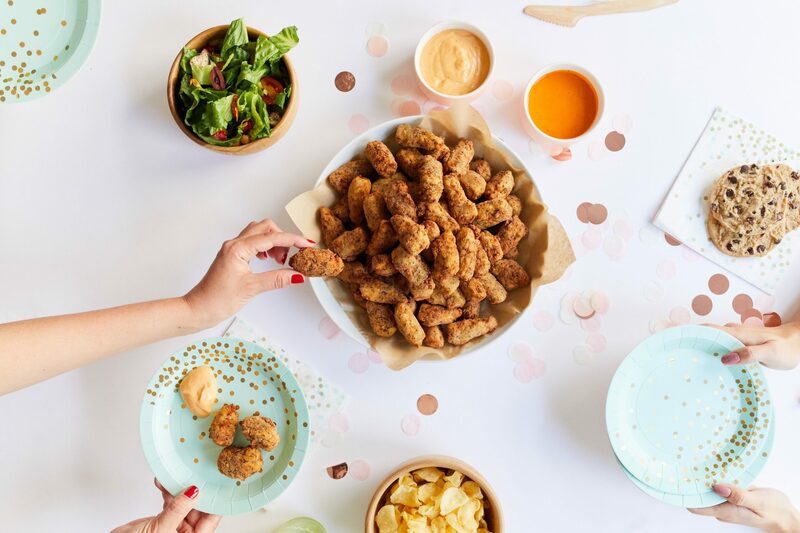 We’ve decided that the best way to liven up any event is with our Chick’n Nuggets, plenty of Sweet Potato Fries, & Kale Lemonade to wash it all down. 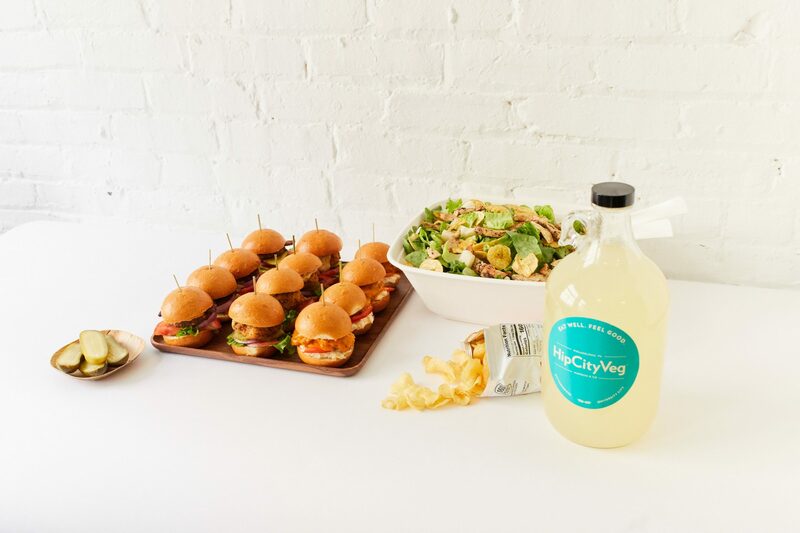 No matter how many hungry guests are invited, HipCityVeg Catering is here to help make your next bash a huge success! At HipCityVeg our catering is more than just great food – it’s entirely plant-based – making it incredibly tasty and environmentally friendly. In fact, if one person switches to a vegan diet they can conserve more than 1,100 gallons of water. Imagine how much impact an entire birthday party could have. Crazy, right?! All of our plates, cutlery, & containers are compostable which makes clean up pretty simple as well. So next time you feel stressed about finding healthy and delicious catering, drop us a line or send us an email and we will take care of it! Who knows, maybe your next HipCityVeg event will leave your guest craving more plant-based noms. For our friends in Philly, we have more than just lunchtime fare. 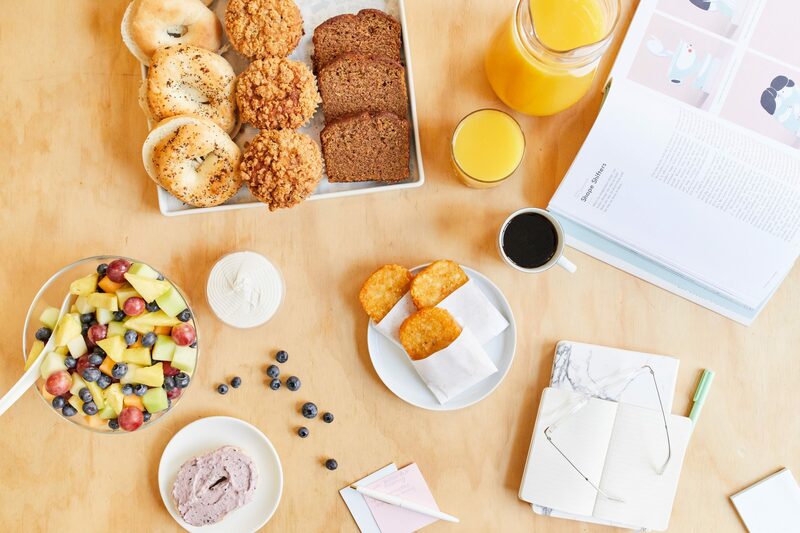 We’re also introducing a kickin’ breakfast menu chock-full of mouthwatering breakfast sandwiches that will have everyone excited for your next 8 AM meeting. Start your day off right with a great sandwich, plenty of coffee and the potential to reduce your carbon footprint by 73%. Plan your next event with HipCityVeg Catering, your guests and the environment will thank you.